Does Candida Cause Sinus Infections, Headaches, and Fatigue? - YeastInfection.Org by Eric Bakker N.D.
You are here: Home / Other Issues / Does Candida Cause Sinus Infections, Headaches, and Fatigue? Chad has had recurring sinus infections, headaches, and chronic fatigue for over eight months. He was not getting clear answers from research or visits to the doctor, and was concerned about age as he was in his later thirties. He reached out to ask us if his health concerns could be related to candida. Though his symptoms are related to a potential yeast infection, there are other immune and health-related possibilities. Heavier mucus blocks the nasal cavities, and bacteria, viruses, and fungi can become stuck and cause sinus infections. Sinusitis occurs when the nasal cavities are inflamed and swollen. Mucus is thicker, and sometimes green or yellow. The sinus cavities can be painful with a constant, dull pressure that can extend from the cheekbones to the forehead, and often cause headaches. The most well-known cause of sinus infections is viral. A cold creates inflammation in the nasal cavities, and the inflammation does not always go down even when the cold is gone. Sinus membranes can swell into polyps and cause further mucus blockage. Many people can mistake a sinus infection for a cold, as it can create a sick feeling in the body. Postnasal drip, where mucus escapes down the back of the throat, can cause painful throats and difficulty swallowing. Coughing and a tickle at the back of the throat are also common. These symptoms are often related to a cold, but may strictly be sinusitis. Allergies can worsen into sinusitis as the body attacks itself. The body becomes inflamed with an allergic reaction, and the immune system responds to the allergens with cold-like symptoms. Invasive or excessive fungus can cause continual sinus infections. Fungi like to grow in damp, dark areas of the body, and if mucus becomes thick or blocked, they can overgrow. Other symptoms with a fungal infection include headache, vision problems, and fever. Fungal infections in other parts of the body, including yeast overgrowth, can cause sinusitis. Mayo Clinic conducted a study of 210 people with chronic sinus infections and found 40 different forms of fungi in 96% of participants. If a fungal infection seems likely, taking a cleanse that will focus both on destroying excess Candida and support the nasal passageways can promote a multi-layer healing process. CanXida Remove has ingredients such as oregano and grapefruit seed oil that promote healthy nasal function. Bacterial infections do not generally cause sinusitis, however if mucus becomes thicker and clogged, bacteria is able to grow. Yellow or green mucus may indicate a bacterial infection, and these can prolong sinus congestion and pain. Nasal polyps and tooth infections are other possible health concerns that can lead to sinus infections. Excessive exposure to chlorine may irritate the naval cavities as well. Diving creates a change in pressure, which can inflame the sinuses, thus blocking them and providing a space for fungi, bacteria, and viruses to build up. Dry areas and dehydration can also lead to unhealthy mucus function and provide a space for pathogens to grow. Sinus decongestants used for several days can have the opposite effect of clogging up nasal passageways instead of clearing them. Headaches can result from sinus infections. Pressure and swelling in the nasal cavities will result in headaches, painful ears, and even gum discomfort. 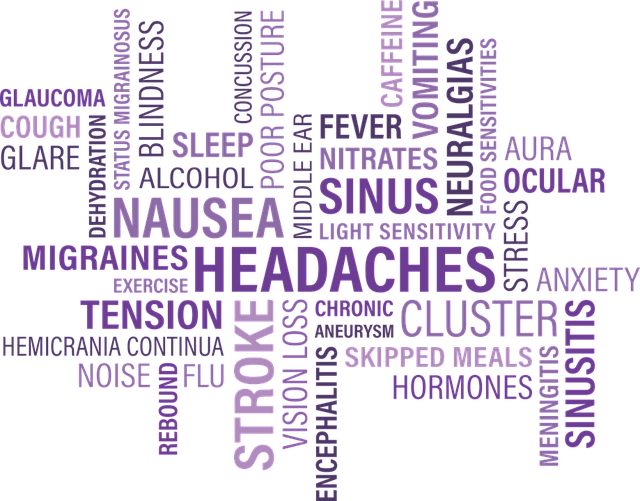 Headaches may also occur if breathing is blocked or more difficult. When the air passageways through the nose are blocked, particularly if nasal polyps are present, the lack of oxygen will affect the head. Candida and headaches are closely linked. Heart palpitations, sore muscles, and pain in the body are other symptoms of yeast infections that are common with headaches. Allergies that cause headaches may link to yeast overgrowth. Candida strains the digestive and immune system, and allergies can develop as the body mistakes food and drink particles as harmful. Alcohol, aged cheeses, and caffeine feed yeast and can create an overgrowth. If a headache or migraine is experienced shortly after consuming certain drinks and foods such as the above, consider removing the food and trying a candida cleanse diet to see if symptoms remain the same, improve, or worsen. If they worsen, this may be a die-off effect where yeast cells release toxins as they die. Worse symptoms on a candida diet is a strong indicator of a yeast infection, and the symptoms will improve seven to ten days, on average, when continuing the diet. Migraines are mistaken for headaches, but can last for multiple days, be felt on one part of the head, and creates nausea, vomiting, or vision problems. Alcohol, caffeine, menstrual cramps, and stress can trigger migraines, but candida may be a deeper source if the migraines occur on a regular basis. If yeast escapes the digestive lining, it may clot the blood and prevent healthy circulation. Poor blood flow can cause numbness, and headaches. The medical and scientific fields are studying probiotics more often, and learning that they can affect the entire body. This includes head-related health such as mood, headaches, and fatigue. When probiotic strains are low or absent, bad bacteria and candida can overgrow in the gut and affect the entire body. Similar to sinus infections, fatigue may be the result of many underlying health problems. Stress, sleep deprivation, and anxiety can contribute to fatigue. Candida can also affect adrenal function, which regulates energy and stress levels. Bad bacteria overgrowth in the gut weakens the immune system and makes the digestive tract work harder to cleanse the body. If the immune system is constantly fighting candida, the body becomes worn out. The digestive tract and immune system work hand in hand, so poor nutrition and other factors may weaken the body’s ability to fight allergies, viruses, and bacterial infections in addition to yeast fungal infections. For those who always feel sick, experience bloating, or have had fatigue last longer than six months, candida overgrowth is a likely problem. Additional yeast infection symptoms that often relate to fatigue are brain fog, memory and concentration concerns, and painful or sore muscles. If going through a candida cleanse, keep in mind that die-off effects include headaches and fatigue. Taking Molybdenum, or temporarily lowering the intake of any candida cleansing supplements, and getting plenty of rest can help lessen die-off symptoms. I’m dealt with Candida for a few years now but not the common Albicans, I have the tropicalis variety. Have a few bacterial overgrowrths as well which why I think I can’t handle probiotics or fermented food. Suddenly can’t handle anti microbial or antufungals (all natural). Feel pretty good when eating clean and not taking anything. 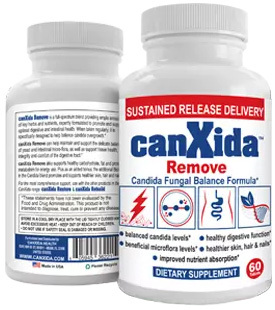 Is my specific form of Candida different than the rest? Not too much information out there on it. Thanks for being such a great resource!